The following is the essay that accompanied my application. The Peace Corps has always intrigued me immensely. 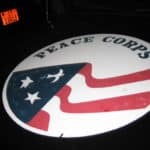 Over the past year, I have spent many hours researching the organization and gaining an understanding via many Peace Corps Volunteers’ blogs. With each heart-warming story, my passion for the program and its mission grew stronger. As I head toward the next chapter of life, I choose to join the Peace Corps because it successfully encompasses elements I consider important for a well-rounded life: service, international mobility, cultural immersion and career development. Pursuing an undergraduate degree at a Jesuit university was never an intention as I am not a member of the Catholic faith. However, service-oriented Saint Louis University has taught me the virtue of volunteerism by introducing a plethora of community service activities. For the past three years, I have been a tutor at a local church for inner-city school children. Despite coming from an undesirable background, the kids are eager to better themselves; a mere few hours of my time can exchange for a higher grade and a better future for these children. This volunteer activity, among many others, is a motivation for me to continue serving others. Life experiences, thus far, have taught me the significance of cultural integration around the world and the rewarding challenges of become immersed in yet another culture. With each adventure, I feel less a citizen of one nation, but rather a citizen of the world. 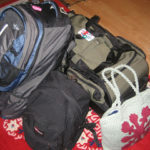 However, living abroad and cultural immersion should not simply be a privilege for the young. An internship at the U.S. Embassy in London allowed me to see first hand the lives of Foreign Service professionals and how they integrate international mobility, cultural immersion and a rewarding career. As a finance and economics student, I strive to incorporate all those elements with the analytical nature of my studies to form a global career. My enthusiasm for the Peace Corps intensified when I discovered the business branch of the service. Throughout college, work and service have always been two separate activities for me. Devoting time to business-related internships in the corporate world meant volunteer work had to remain an “on-the-side” activity. For a long time, I pondered over ways to utilize my business skills to make a direct contribution for others, incorporating service into a “day job”. The video clips of Peace Corps Volunteers advising businesses in developing countries around the world were the answers to my internal dilemma. The Peace Corps will not only provide international mobility and an incredible culture immersion experience, but will also present one- of- a- kind career development that I cannot obtain from within the glass buildings of fancy corporate offices. The decision to join the Peace Corps has already been an inspirational experience, and I hope to continue this experience through serving the international community; learning life lessons via a different culture, discovering personal qualities I yet know existed and fine-tuning a life plan that will make an impact, one small element at a time. Mailing me stuff? Please read!